Tell me, would it be wholly unappetizing to you all if I referred to today's recipe as "Penicillin Cookies"? Because truly, that's kind of what went down here in the Piece of Cake kitchen the other day. A totally delicious, happy accident. Hooray! I love when that happens. 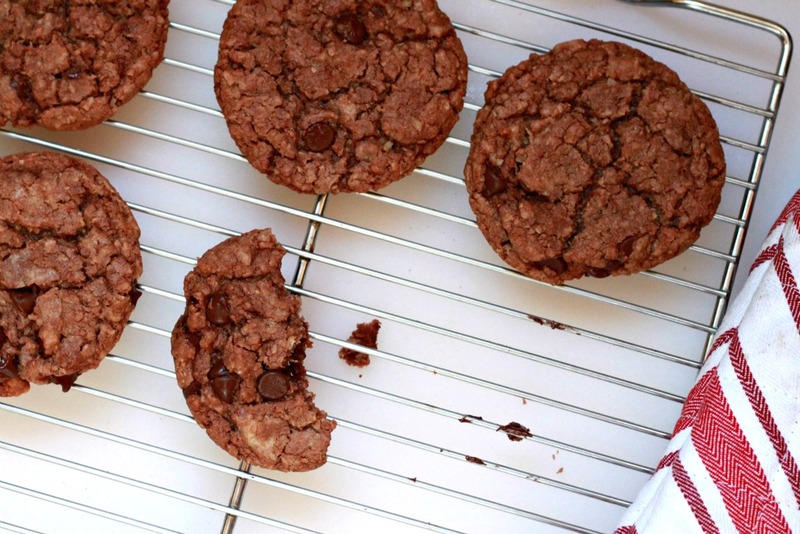 What started out as a twist on the classic Anzac Cookie quickly became something else entirely when, as is wont to happen around these parts, I completely stopped paying attention to what I was doing and added chocolate to a too-warm cookie dough. And because I love nothing more than MacGyvering my way through life, the Nubbly Chocolate, Oat and Coconut Cookie was born, and hopefully will be coming together in your own kitchen, on purpose, at your earliest convenience. So have you ever had an Anzac Cookie? Well, neither have I, really, because I was supposed to yesterday and then got something else out of the effort. But it sure sounds fabulous--basically a sort of sable, or crisp shortbread cookie with a good amount of the regular flour replaced with a mixture of oats and dried coconut. Nothing wrong with that combination at all, unless of course you're a person who doesn't like coconut (no judgement, just calling you crazies out). But even if you're not a huge coconut fan, you may enjoy this version all the same. Because instead of loading this cookie with heaps of shredded coconut as is, the coconut is ground fine along with the oats. So what you get is a most excellent texture and more of a faintly tropical background note to the cookie than a jazz hands-shaking *COCONUT SHOW!! *--you feel me, here? 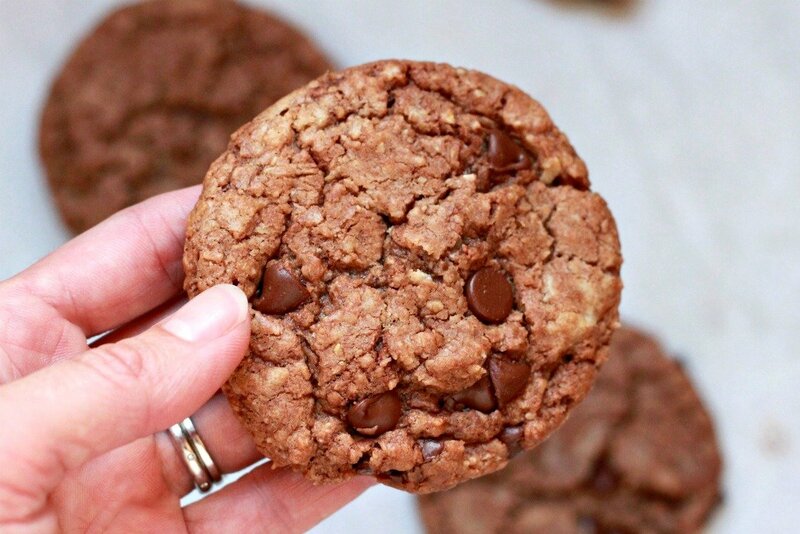 In addition to the breath of coconut and the earthy, tweedy texture of the oats, you have perfectly crisp edges with a tender center (read: the perfect cookie). We also have chocolate happening here, so amen to that. And to make things just a little more interesting, there's also a touch of vanilla, almond extract and honey involved, which gives a wink of an ambrosial quality that makes you go, "Hmm! What's that flavor? Oh, I don't care, I just another one." It's like a genius spin on Toll House. Totally simple, totally crave-worthy. My kind of cookie. Now it's your turn, friends: What's your best "Pencillin Cookie"-esque inventive kitchen moment? Do not be alarmed that the dough might appear a bit oily as you're scooping it out--it will all bake up perfectly. Resist the urge to cram more than six to eight cookies on a baking sheet; these cookies spread out quite a bit. 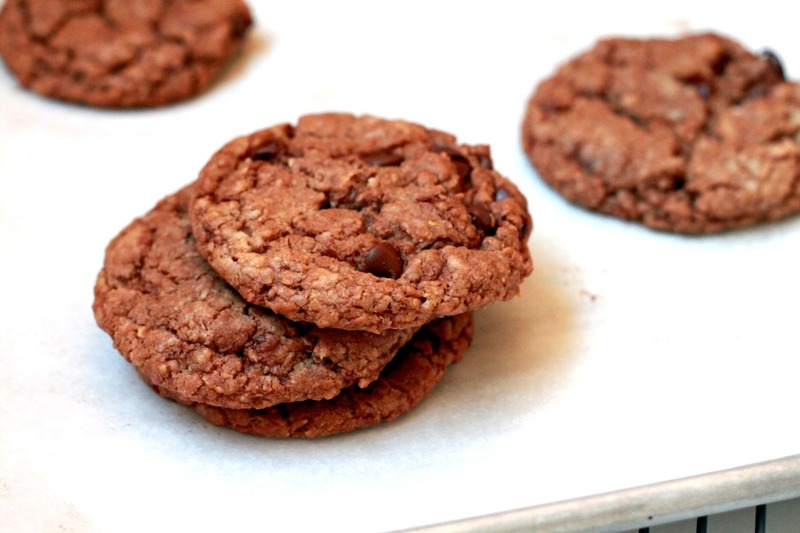 Since they are already eggless, you are well on your way to creating a great vegan cookie here. I'd swap out the butter for vegan baking sticks (like Earth Balance), agave nectar for the honey, use dairy-free chocolate chips and see what happens. Position oven racks to the upper and lower thirds of the oven and preheat it to 325 degrees. Line two baking sheets with parchment paper or silicone baking mats. 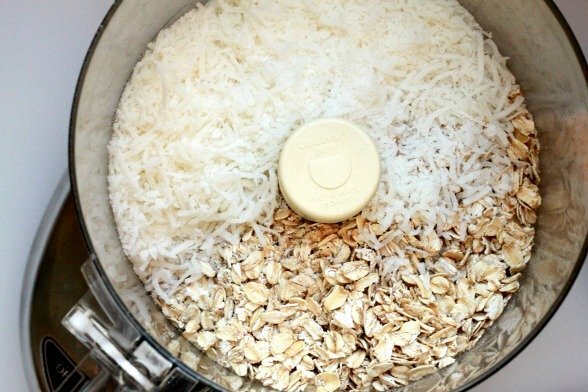 In the bowl of a food processor, combine the oats and coconut. Process until finely ground, about 1 minute. Add the flour, cream of tartar, baking soda and salt and pulse to blend. Transfer the dry ingredients to a large bowl. 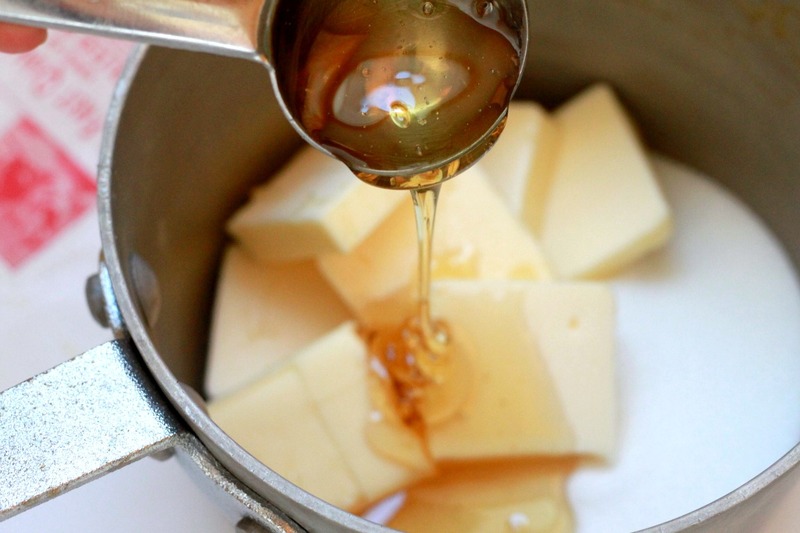 In a small saucepan, combine the butter, sugar, honey and water. Place the pan over medium heat, stirring often, until the butter is melted and the mixture is hot. Stir in the vanilla and almond extracts. Pour the wet ingredients into the dry and stir to blend well. Coarsely chop half the chocolate chips and add to the warm dough, stirring until the chocolate is nearly all melted and blended throughout. 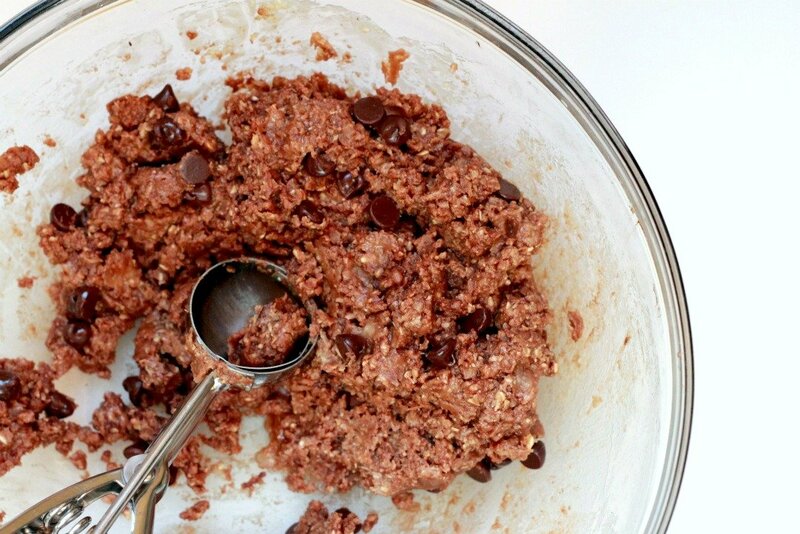 When the dough is cool, stir in the rest of the chocolate chips. Scoop the dough out into two tablespoon-sized balls and place them on the prepared baking sheets, six cookies to a sheet. Bake two sheets at a time, rotating the sheets top to bottom and front to back halfway through baking, for 15 to 18 minutes, or until the edges are set (the centers will still be very soft). Let the cookies cool on the baking sheets for two minutes before transferring to a rack to cool completely. Repeat the portioning and baking process with the remaining dough. Store in an airtight container at room temperature for up to 5 days.